At Fine Life Limassol, we deploy a purpose-built team of skilled professionals who will meet all of the corporate needs of our clients. Thus, in offering corporate services for registering legal entities and companies in Cyprus, our approach is exclusively customer-centric. With corporate income tax at 12.5% in Cyprus, it earns the title of a low tax jurisdiction, making it an interesting area of investment and entrepreneurial growth for any company. Furthermore, incorporation of companies in Cyprus opens up the possibility of registering your company on an international basis. We provide our clients with professional advice on all aspects of their business – from initial set-up negotiations to corporate governance consulting and management. 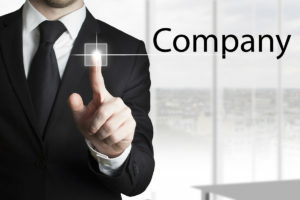 Private companies limited by shares. The accounting, or auditing, fee. The annual expenses payable to the Registrar of Companies (ROC). Name application: for name approval (3-4 business days to await confirmation from ROC). Preparation of all forms to be submitted to the ROC (1 day). Submission of a company’s incorporation to the ROC (4-5 business days). Preparation of corporate documents and bank forms to be sent to client for signing (1-2 days). Review of files by the bank requires one week, followed by account opening on the second. After account opening, we proceed with the order of Visa Card and Digipass (3 days). Copyright © 2019 FineLife Group. All rights reserved.